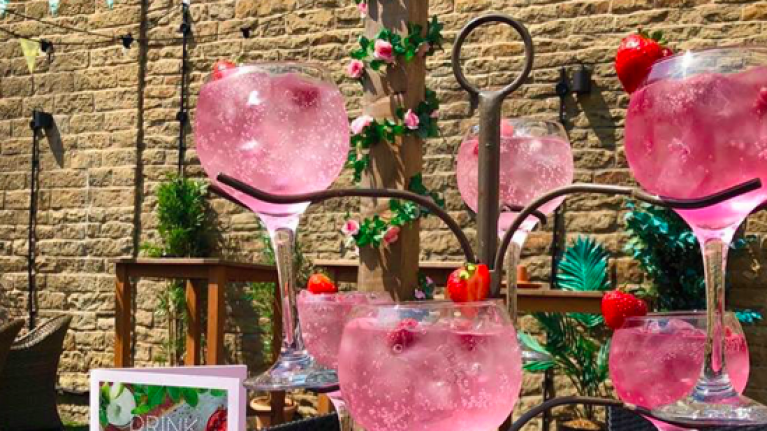 You are soon going to be able to be able order a pink gin tree - and it looks like it's absolutely perfect for summer. The Instagram-friendly treat contains nine - yes, nine - gin-filled goblets, with plenty of raspberries and strawberries, too. So, basically, it's (mostly likely going to be) delicious and the perfect excuse for a girls night out. And judging by the social media reaction, we're not the only ones who are intrigued by the Insta-friendly treat. We've got some bad news, though: sadly, it's not available in Ireland. The delicious-looking summer concoction is set to launch at the Slug & Lettuce bar-restaurant chain in the UK as part of their new summer menu. The chain haven't confirmed any other details about the treat just yet. Some of the restaurants have already been hinting that it is available to order, but a spokesperson told Pretty52 that it would be in all venues next month. "These will actually be launching into all sites as part of the new menu from the 15th August." We cannot WAIT to see this in action - and, in the meantime, we'll be hoping someone brings it to Ireland (pretty please).